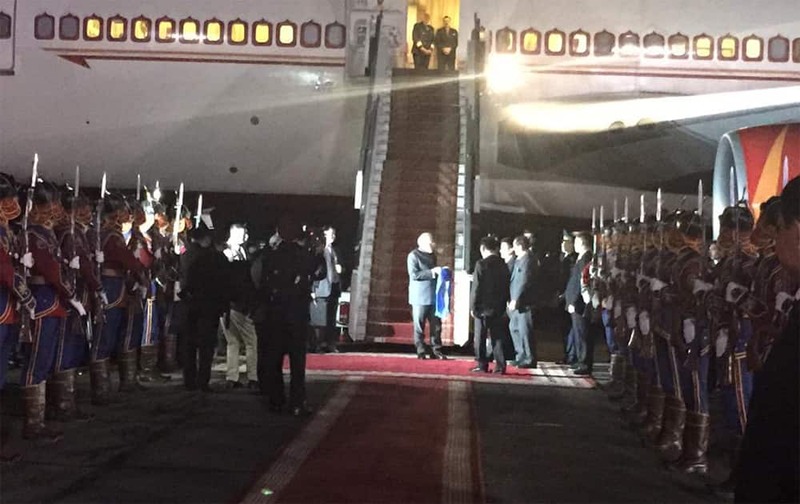 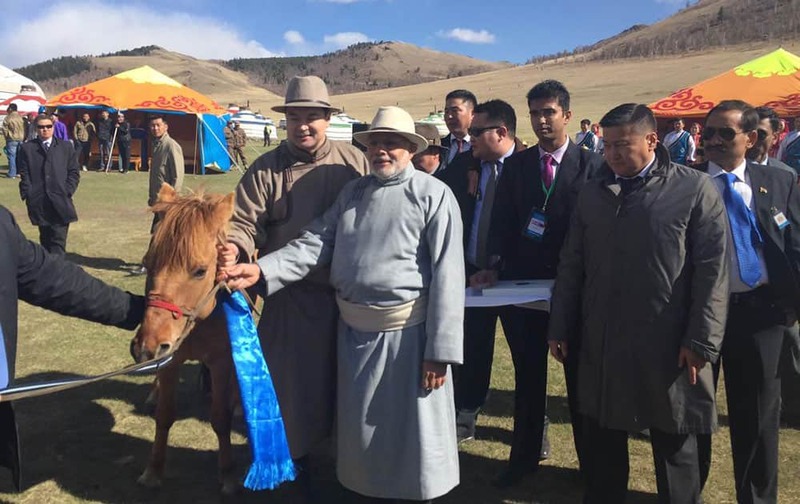 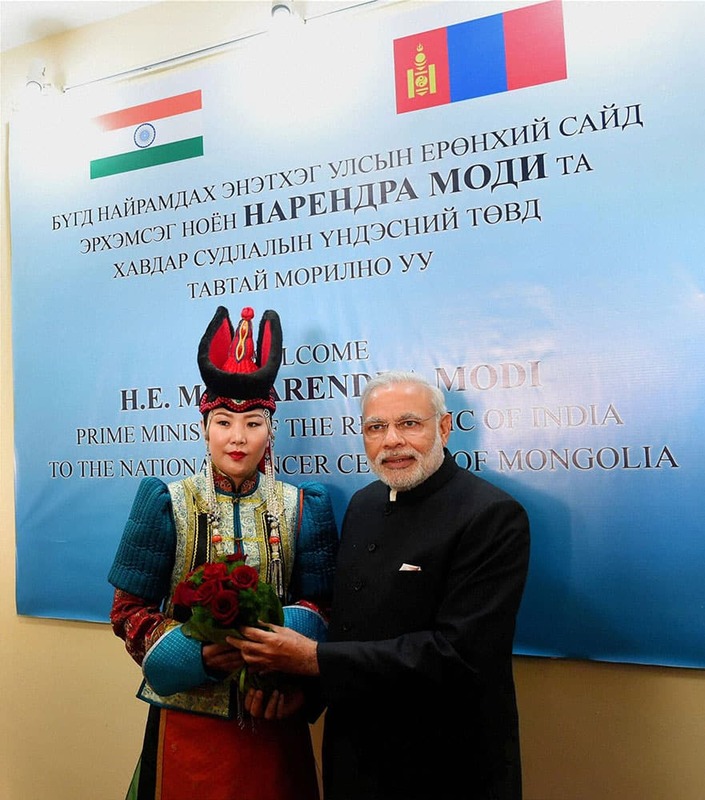 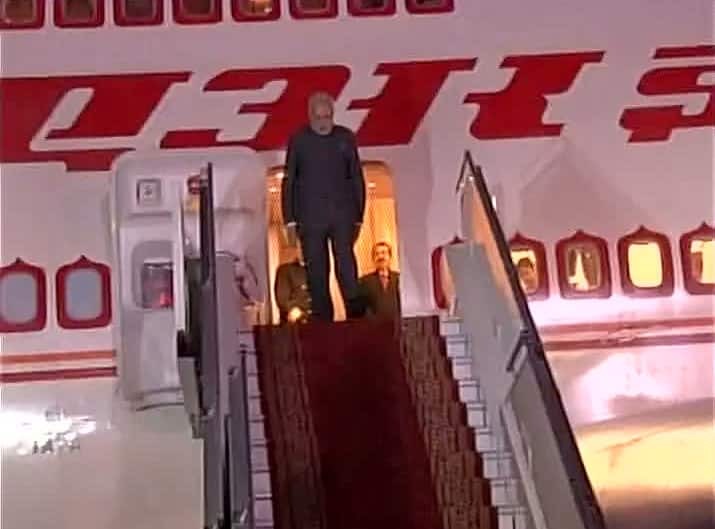 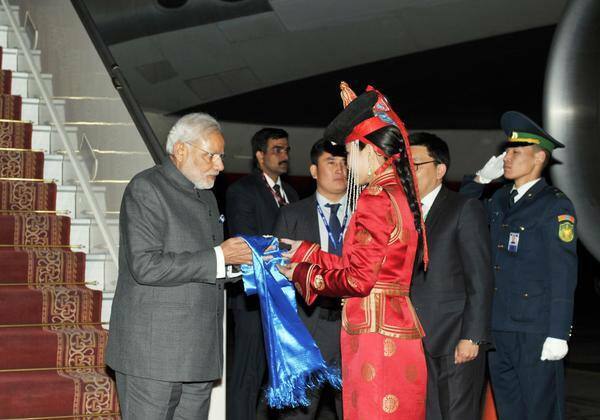 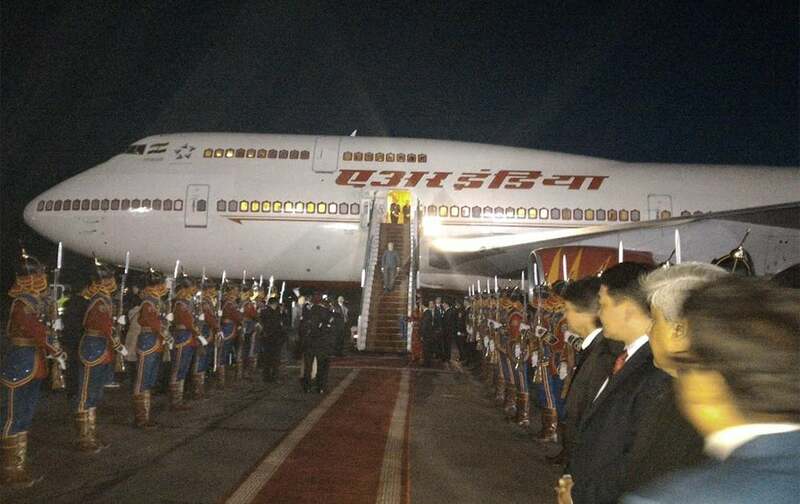 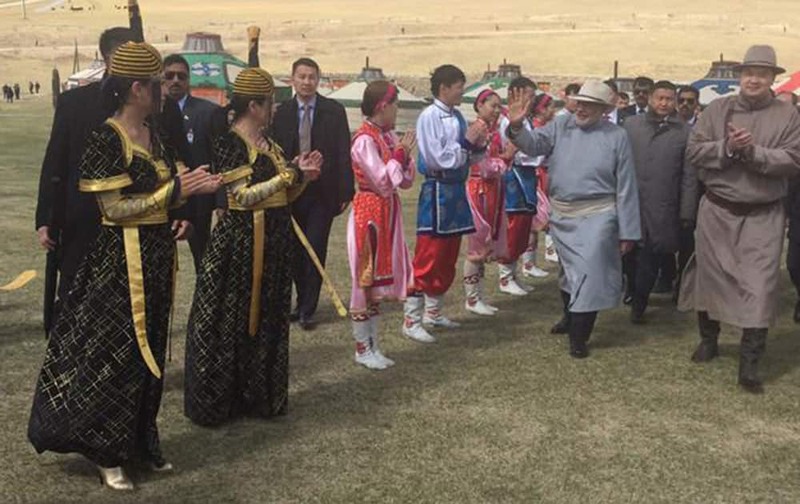 Prime Minister Narendra Modi being welcomed on his arrival at the National Cancer Center of Mongolia, in Ulan Bator, Mongolia. 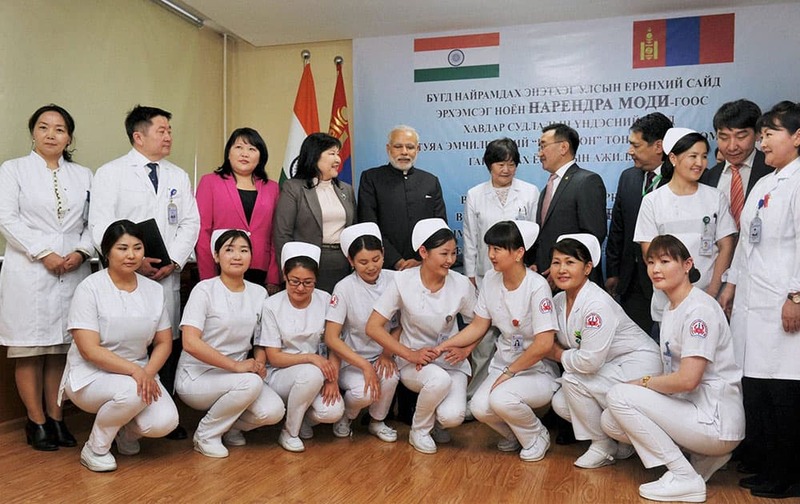 Prime Minister Narendra Modi pose a group photo with the staff of National Cancer Center of Mongolia, in Ulan Bator, Mongolia. 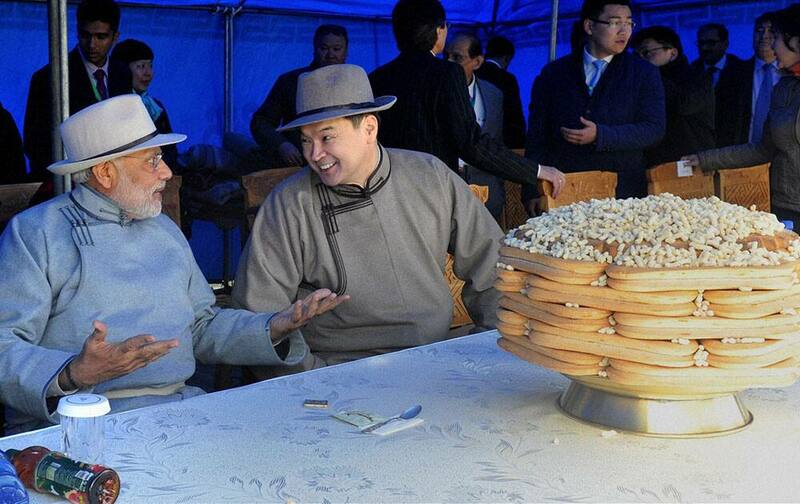 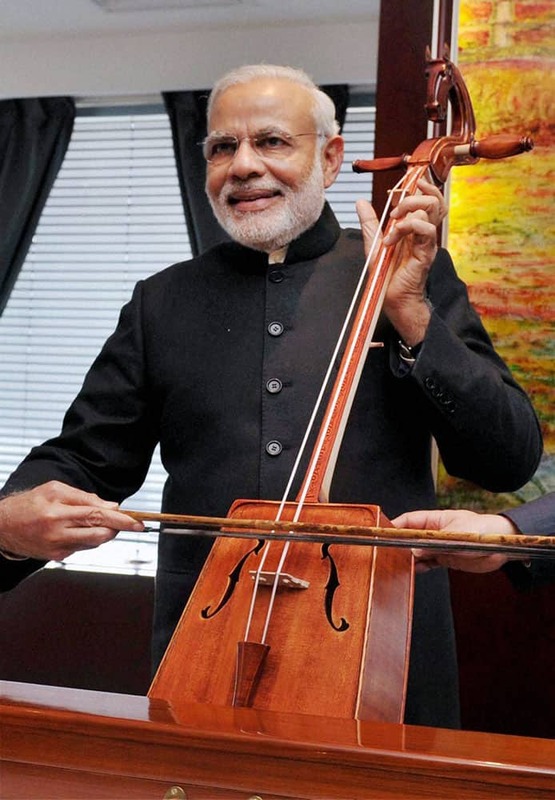 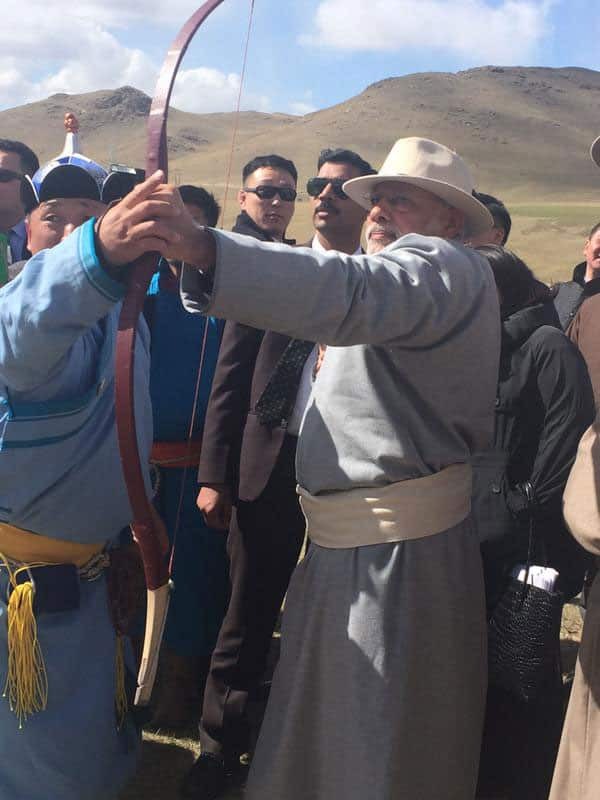 Prime Minister Narendra Modi playing the traditional Mongolian instrument Morin Khuur in Ulan Bator, Mongolia. 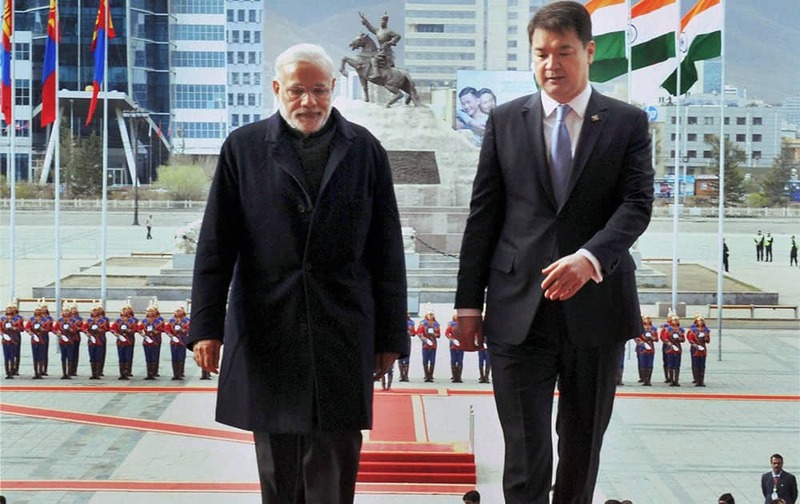 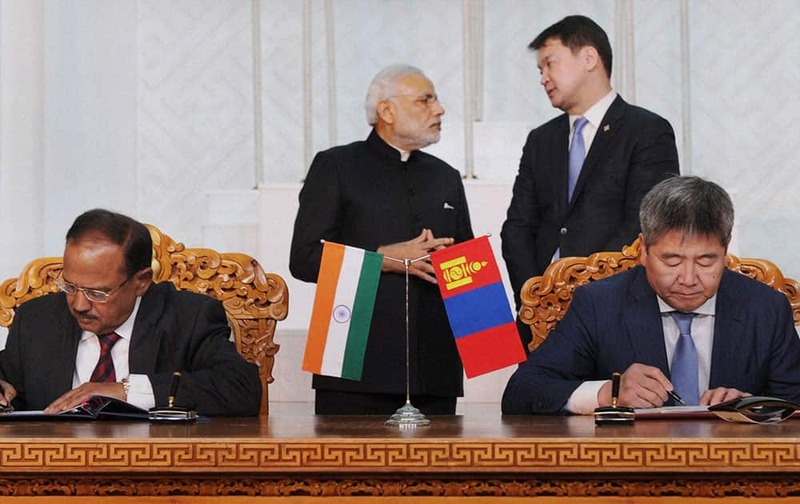 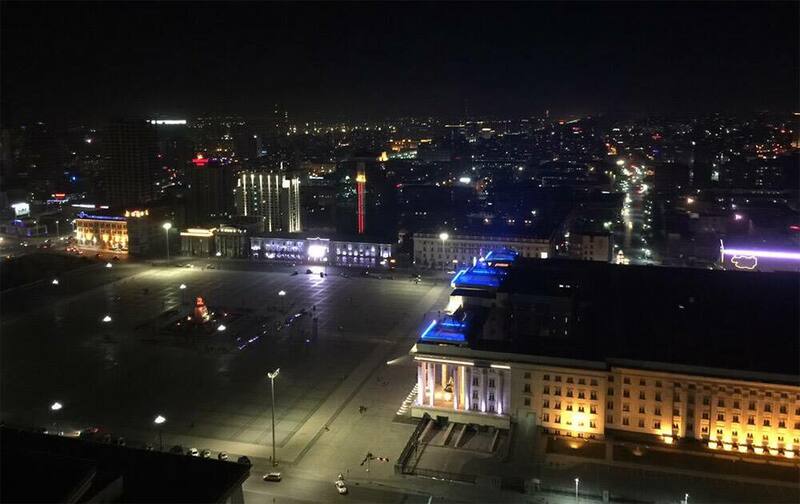 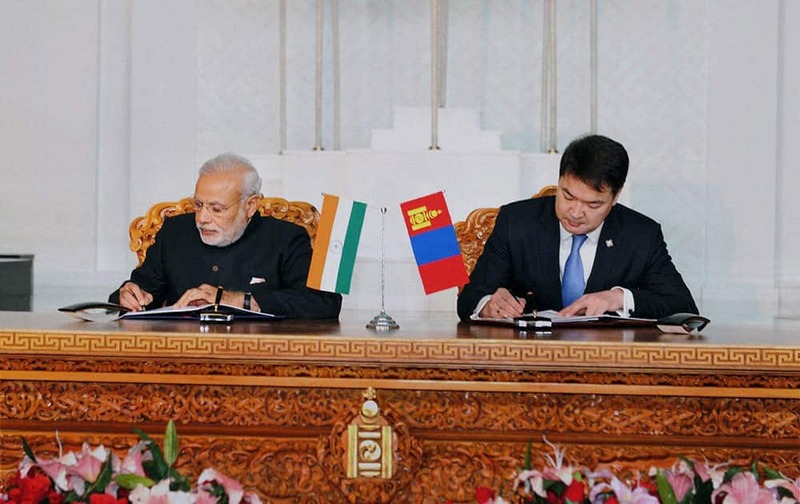 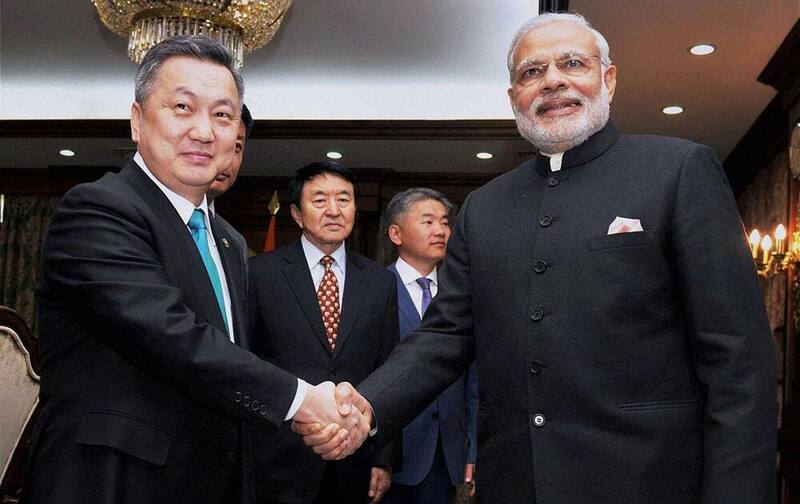 Prime Minster Narendra Modi with his Mongolian counterpart Chimed Saikhanbileg witnessing the signing of Indo - Mongolia signing agreements at State Palace in Ulan Bator, Mongolia. 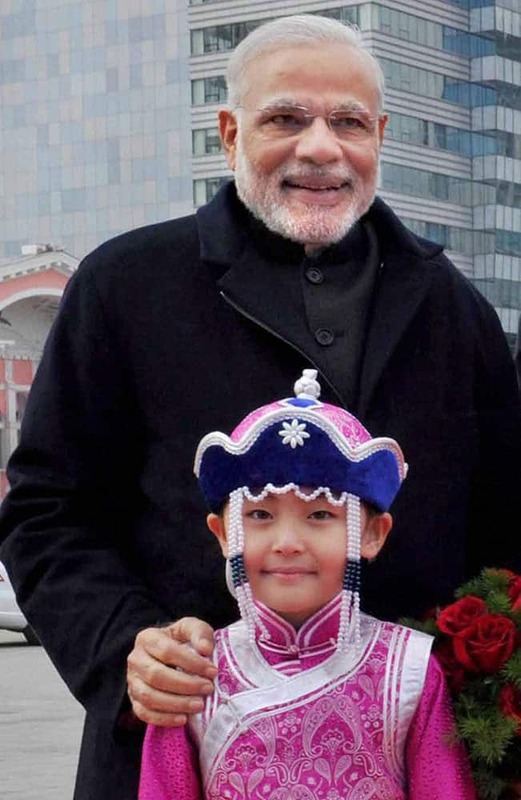 Ulan Bator: Prime Minster Narendra Modi with Mongolian child during the ceremonial welcome at State Palace in Ulan Bator, Mongolia. 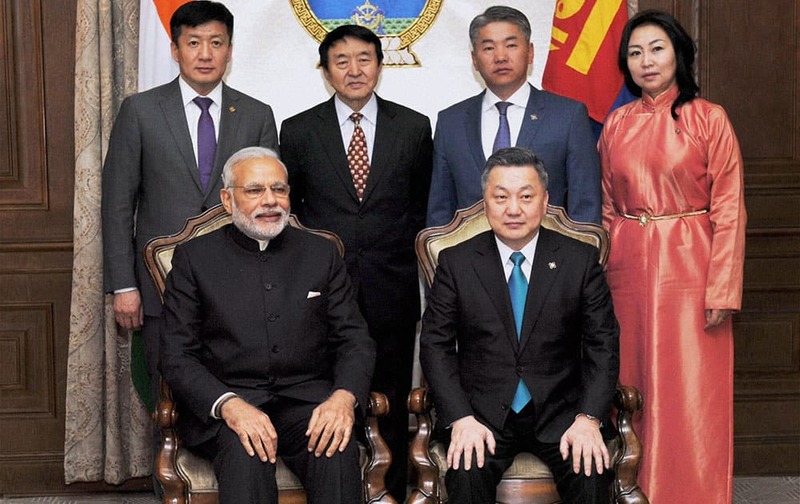 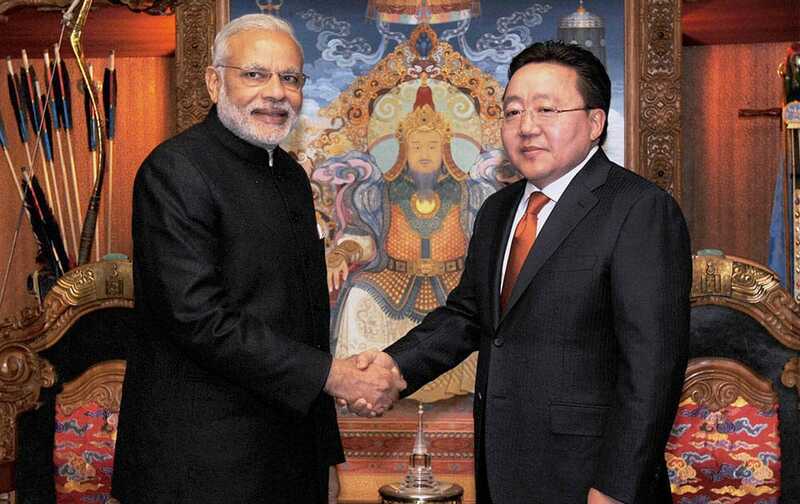 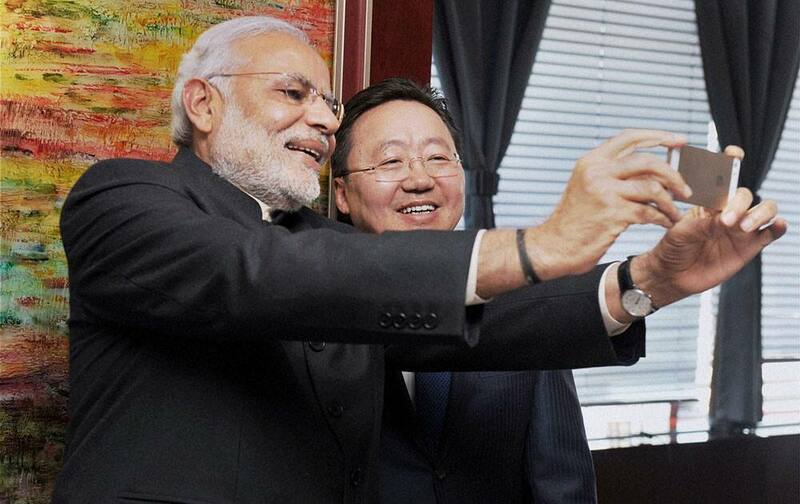 Prime Minster Narendra Modi with Speaker of the Parliament of Mongolia, Z.Enkhbold during a meeting in Ulan Bator, Mongolia.